Ships in 3-4 business day. 2 sizes, 16" x 30" and 24" x 36"
The Wesco Steel Service Cart is constructed of steel, 14 gauge steel corner post and finshed with a baked on enamel coating. Two 5 inch hard rubber swivel casters make it easy to wheel your heavy items around while providing a smooth ride. The Wesco Steel Service Cart is great for uses in the warehouse, office, garage, and stock rooms. 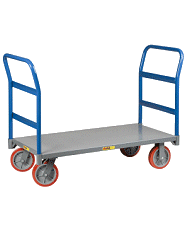 A strong 20 gauge steel construction and strong casters provide an incredible 500 pound load capacity. 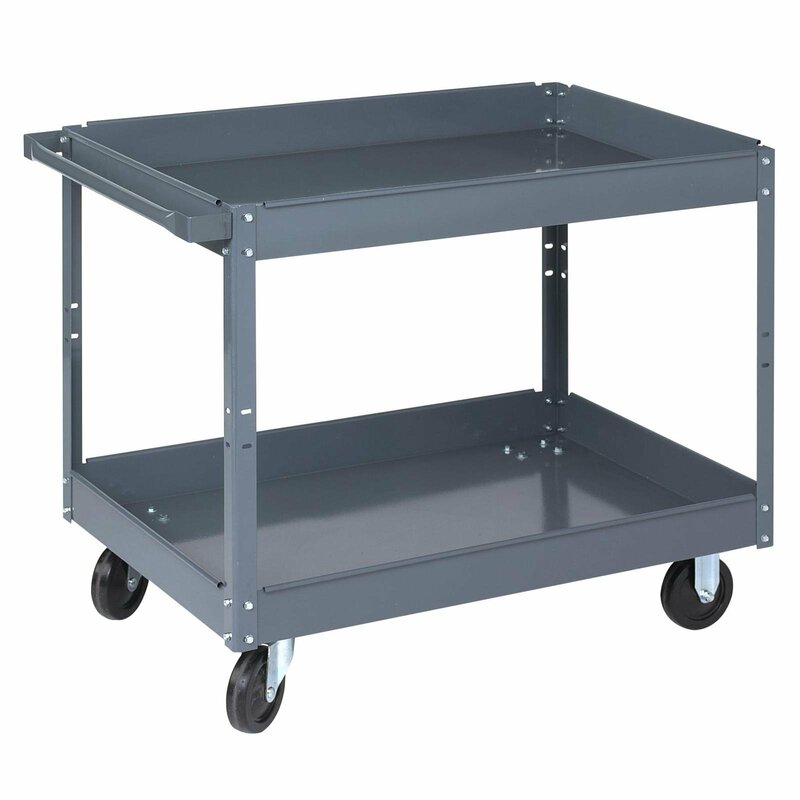 Buy with confidence and get your Wesco Steel Service Cart today.